1. 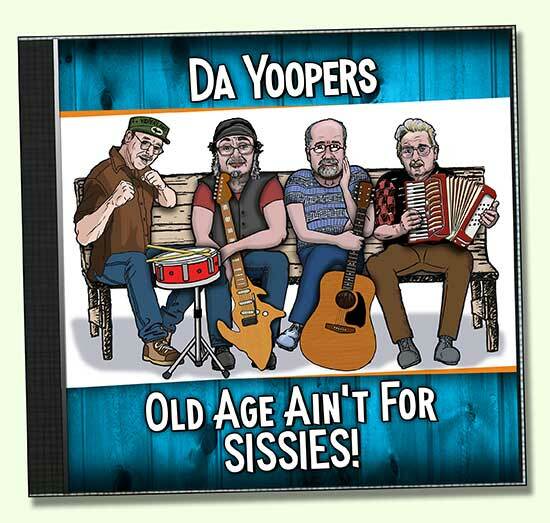 Da Yoopers New CD, OLD AGE AIN'T FOR SISSIES! OLD AGE AIN'T FOR SISSIES! so we thought, why not do what we do best, write a group of light-hearted songs that describes the funny side of what we're going through! OLD AGE AIN'T FOR SISSIES eh! 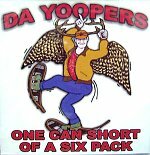 Da Yoopers make musical history! No one in the history of music has ever written a complete album of “all original” songs about farting…songs that speak of the true essence of farts and asks these age old questions: Where do farts come from? Why don’t you ever hear your Mother fart? If you fart in church will you go to hell? How would it feel to be a toilet? Is there life after defecation for a turd? For Diehards Only features all the best from our first five releases: Second Week Of Deer Camp, Rusty Chevrolet, Bingo Fever, Fishing Wit Fred, Diarrhea, Beer Gut, etc. 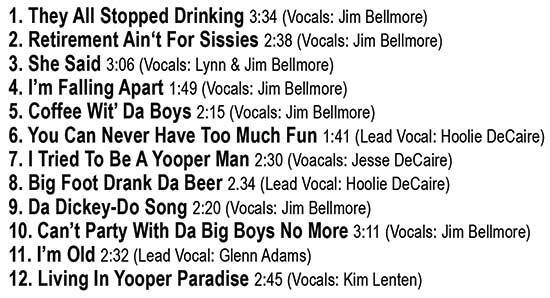 Diehards II features all the rest of the great songs from our first five releases: Yoopanese, Culture Shock, Camp Fever, Yoop It Up and Yoopy Do Wah.